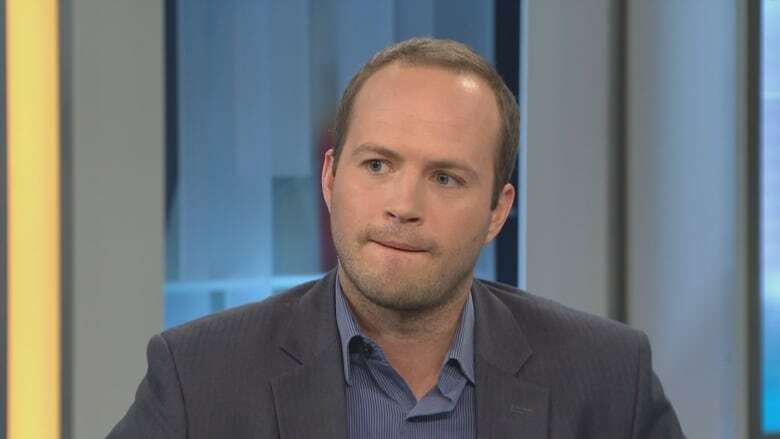 Liberal MP Nathaniel Erskine-Smith isn't happy with his government's decision to sign a U.S. declaration embracing a war-on-drugs approach to the global narcotics trade — and suggests it was done to appease the U.S. in the middle of hard-fought NAFTA negotiations. "I can't think of any other reason we would sign a document like that," Erskine-Smith said in an interview with CBC News Network's Power & Politics. "I think we missed a serious opportunity to have a courageous conversation by signing that document," he told host Vassy Kapelos. The non-binding declaration, called the "Global Call to Action on the World Drug Problem," was tabled by the U.S. at the United Nations on Monday. Canada was one of 130 countries — including Russia and the Philippines — to sign the document embracing a four-part strategy that emphasizes education, border security, law enforcement and halting drug production. But Erksine-Smith said that 63 other UN member states — including Germany, Spain and New Zealand — did not sign the declaration because of what was left out of it. "Those countries that didn't sign, some of them stood up and said, 'We're not signing this because it doesn't have a sufficient focus on health and treating this as a health issue,'" Erskine-Smith said. The document does make health care part of the strategy, committing to expanding "treatment efforts to save lives" in the ongoing opioid crisis. But Erskine-Smith said the document puts the emphasis on law enforcement at the expense of a health system approach. He said it's the wrong way to look at the problem of addiction. "The war on drugs has failed and we need to treat this as a health issue, not as a criminal justice issue." The document includes a commitment to three UN conventions that — after cannabis is legalized on Oct. 17 — Canada will be violating. Health Minister Ginette Petitpas Taylor said that signing the document doesn't contradict her government's plan for legalization. "I think those are two different topics, really," she said on CBC News Network's Power & Politics. "When we look at the work and the reason why we are signing on the action plan is that we recognize that we need to have a global conversation when it comes to problematic substance use." Erskine-Smith agreed that Canada should be a part of the conversation, but insisted that Canada sent the wrong message by signing the U.S. declaration. "It's not just being a part of the conversation, it's what you say in that conversation. And so we should have said, 'This is a health issue, we've said this at home, we're going to say this abroad.'" Erskine-Smith said his government should now take more concrete steps to ensure substance abuse is treated as a health issue in Canada. "Sign whatever non-binding document you want to sign on the international stage if it means a better NAFTA deal, but we have to then double down our efforts here at home to make this a health issue." At the Liberal party convention in April, a resolution to decriminalize all drugs — championed by Erskine-Smith — was passed, but the Liberal cabinet hasn't given it any serious consideration so far. Erskine-Smith said he thinks the party brass will eventually come around to the idea, especially as the opioid crisis continues to claim Canadian lives. "I think at the end of the day, the evidence will take us where we need to get and it's only a matter of time." And while the Toronto MP is disappointed in his party's leadership for signing the declaration, he isn't considering leaving the party over the issue. "No, not at all," Erksine-Smith said. "I should say it's Liberal governments that have led the charge on harm reduction and evidence-based decision making in drug policy. "We need to stand on that record and we need to pursue that record in the future so we save even more lives."